Phew… new piece is done! something else this time.. Here you can watch 15 minutes of Fabio trying to interview me XD! 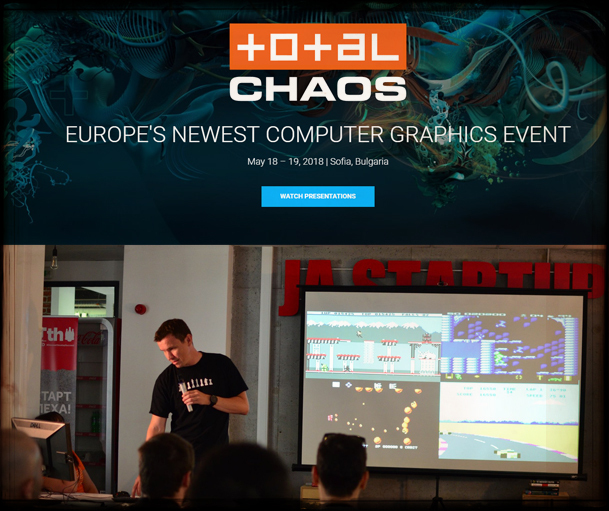 TotalChaos2018 in Bulgaria was awesome. I met several old friends as well as amazing new people. I gave hour long talk “3d art of Marek Denko” and had a good food and few beers!. Great event! Thanks to everyone involved! 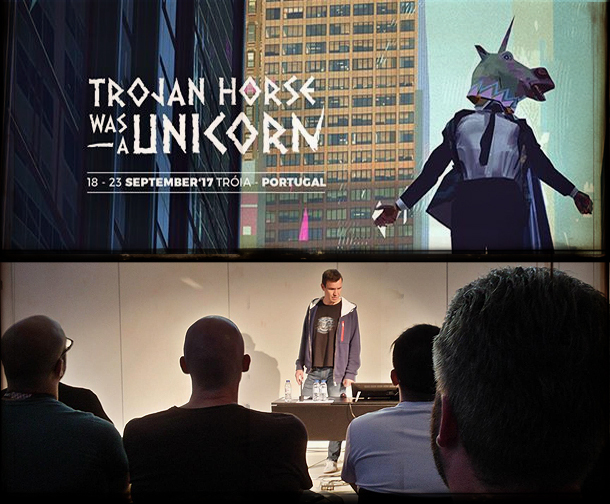 I had an opportunity to spent several days at Trojan Horse was a Unicorn 2017 in Portugal. I gave a talk called “3d art of Marek Denko”. It was unforgettable experience and amazing event. So I did it! You did it! 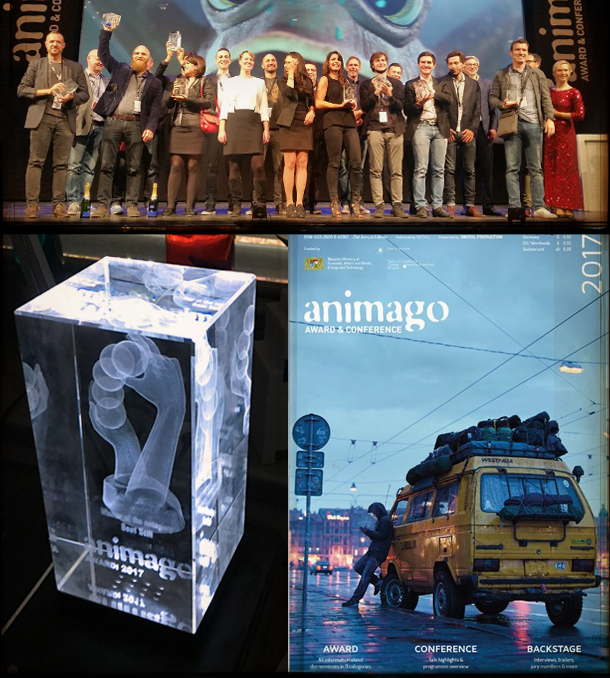 Thanks for all the votes and people behind the Animago award! It was very nice experience and special evening for me! THANKS! I’m proudly announcing that my work Her Eventual Hesitation has been nominated for animago AWARD 2017: Best still category. There are 3 works in the final round. 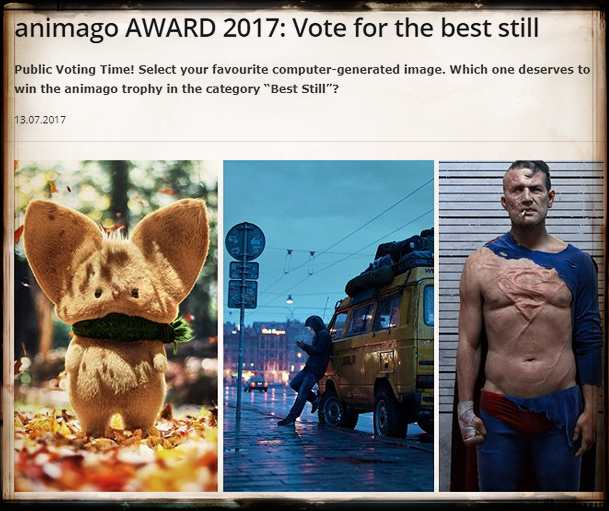 You can give your vote here (not necessarily to my work) Thank you! I spent few days in Mexico city at very cool event Renderit 2014. I had a presentation about my personal artworks and inspirations and masterclass about my workflow. It was great pleasure to have a chance to participate and to meet new friends from around the world. My “Rooftops, rockets and Adventures beyond” image made it to the 9th volume of the Digital Art Masters book series. You can preview and buy the book here. I’m looking forward to list the amazing book. This illustration called “Souvenir” is inspired by the shelf lit by the late sunset trough the trees. I’ve seen this magical light setup last summer during family holiday in Slovakia. I was experimenting with several ideas how to make it more alive and bring a bit of story into it. I’ve made short making of video of my latest artwork. My “Under the southern highway” image made it to the 8th volume of the Digital Art Masters book series. You can preview and buy the book here. I’m looking forward to list the amazing book. 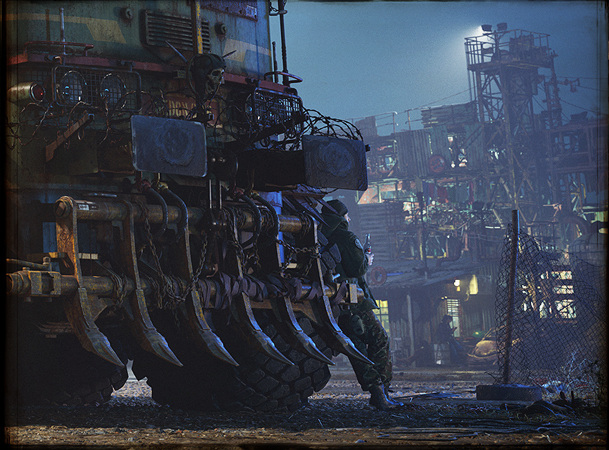 I’ve been interviewed for Chaosgroup V-ray Artist spotlight 03 2013. My “Everything beautiful is far away” image made it to the 6th volume of the Digital Art Masters book series. You can preview and buy the book here. Besides usual free copy of this amazing book I also received a limited edition pack of playing cards with the images from the book. So nice! I’ve decided to render one high res frame from the recent animation I’ve made. 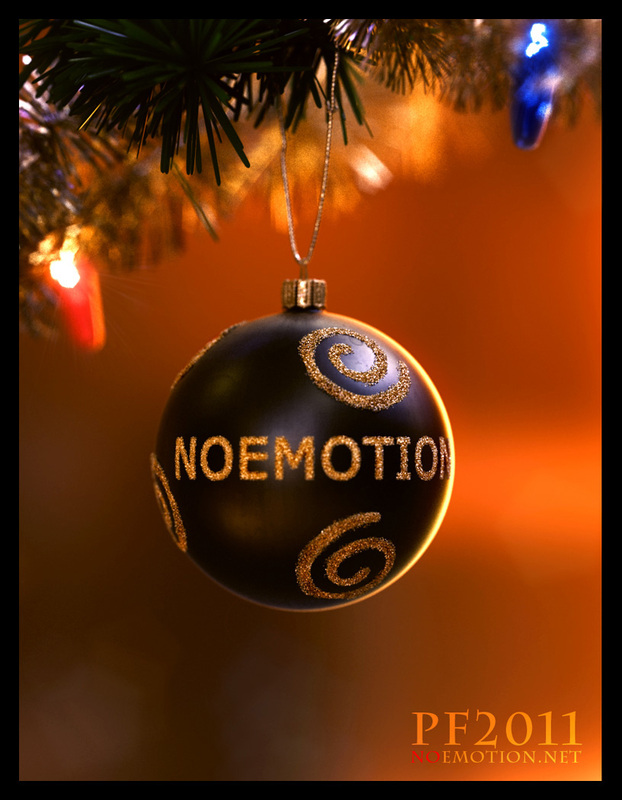 Short 3d animation made as a promotional clip of my company noemotion.net. I’ve never actually planned to advertise on my personal homepage but I have to violate my rules for these guys. Always there and after years we became more. So I’ll just drop a link and say “Check them out”! I’ve tried a lot of times and always satisfied. Have fun in 2011! I made this one really quickly and also added as a part of the Quick stuffs gallery. After months of fun and pain, I’m honored to proudly present you my brand new dirty and shiny personal project called Marek Denko Retrospective Reel. In this part of my homepage you can find some quick personal projects/tests i did in the past and felt they weren’t that good to publish. After some time I looked at them again and they weren’t so terrible so I decided to post them just here on my site. Hello, world… since my personal account on facebook has been bombarded by requests from lots of fans I decided to promote the official Marek Denko group here. My apologies to all guys whos requests have been ignored. I’m just trying to keep the personal account personal. Hope you understand. It’s about being far away from family, friends from everything you love and care about. Just an anonymous cold waiting areas of airports gates with strangers all around set to dime mood of cold weather and soft fogy sunset make your unwanted company. I know these days airport are quite modern and fancy… but it’s even more unpersonalised with all those duty free shops and fake Irish pubs and pizza restaurants with fake smile or without it. After a while I’ve finally finished my new personal project called “Eldorado”. The soil was originally made for a commercial print but the client refused this version asking for less violent soil and so on and so on… We all know how these clients/studio stuff work. I kept the soil scene and decided to use it for my own project since I liked it pretty much. I added lots of extra features like grass strands, roots, leaves and other small bits here and there. At the beginning I wasn’t really sure what will be the hero of the shot. I was thinking about tennis ball, golf ball, pack of cigarettes, bottle etc. but at the and one little toy car won. Folks at FocalPress and 3dtotal.com decided to make chapter I wrote for Digital Art Masters Vol.3 – Making of Hektor free to download. So I’m not really sure if it’s that good or that bad but since I’m thinking from time to time I would say it’s kind of promotional move so to be humble it has to be really amazing chapter. Well ok, end of jokes… Here is the link to download the chapter (Enjoy it!) and here you can buy Digital Art Masters vol.3 book. I have all 3 volumes of DAM in my library and I can say it’s really nice reading! Besides… my 2 years old son loves it even more. I’m proud to announce that I became the member of the Jury on raph.com CG gallery. It’s one of the most prestigious and respected 3d virtual gallery over the globe. I still remember happiness when my first piece Female anatomy study was accepted in there back in 2004. It’s a honor guys thanks! I’ve finished Lost Lake project or better I should say that my HDD finished my Lost Lake project. I had this little accident with HDD and this render is the only thing left I found on my FTP from this lost project. So I called it Lost Lake. There won’t be any wireframes or any shade views this time. : o / … only thing I can show are older wip renders. I’m glad to let you know that I made it into the new 3d total book Digital Art Masters :Volume 3 with my work Hektor. Book looks pretty nice and it is full of beautiful images and interesting “making of” tutorials. I’m happy to be part of it. So after very nice weekend spent in Prague, full of great lectures, so many old friends and crazy after parties, Maxcon 2008 is over. It was really great to be there and to be part of it. You can watch my lecture online on duber.tv only in Slovak language, but some parts are easy to understand just from visual part. So what to say… See you next year! After several years of co-operation, dead matches and capturing flags on many various projects we’ve finally decided to join into one team. The all new NoEmotion. I’ve recently finished my latest personal project. It is one of those bigger and I started to work on it in January 2008. It was shortly after I’ve seen Mad Max trilogy again. I love those fallout vehicles in the movie and I remember like I loved them when I was just a kid so I’ve decided to make at least my own one. I spent on it parts of my free time (about two to three weeks) during 4 months. I spent over 5 weeks at Blur studio in Los Angeles working on commercial directed by David Fincher. Project supervisor was Kevin Margo from Blur. I worked together with Peter Sanitra. 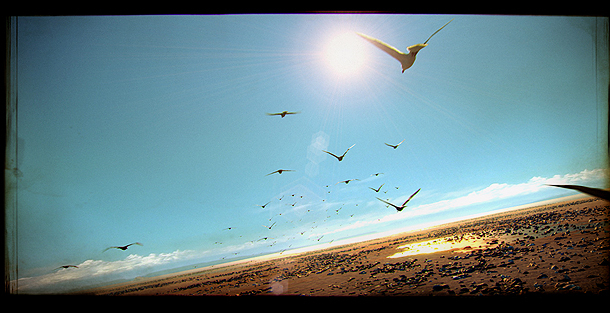 Our task was basically everything starting from modeling, lighting, rendering, rotoscoping to compositing. We did computer generated branches on the trees, flying cars, sparks, existing logos replacements, motion blur reconstruction, basically everything what is flying in the air. We used 3dsmax and Vray for 3d job and Fusion 5 for compositing. Tracking was done in SynthEyes by Matt Merkovich. We had a great time in LA. Thanks to all at Blur, its a great place! So finally commercial is online so I’m proud to show it, click here to watch. I’ve been interviewed by 3DCreative Magazine. Here you can download ‘lite’ version of the March 2008 3DCreative Magazine issue. As it was officially presented at Siggraph 2007 Autodesk user group meeting I’m happy to let you know that I’ve been chosen as one of the Autodesk 3dsmax Masters for this year. I’m really honored and I’d like to say one big ‘Thank you’ to all of the people who gave me vote. I take this as really big stimulation and responsibility for my upcoming professional and personal projects. Here is the link for video at youtube. I was interviewed at raph.com. You can read a bit about me and my find some interesting information about my work. I’m happy that after months of working on a lot of professional projects eating all of my lifetime I found some time and I started, worked and I finished next personal artwork again. I call it “What took you so long? !” and it is environment inspired by one of Pragues districts where I’m living and working now. Name of the street on the plank is kind of ironic “Osloboditelov” which is in Slovak language and it means in English “Liberators”. Picture is dedicated to my wife and my colleagues from imagesFX. I’m proud to announce that I’ve been nominated as an Autodesk 3ds Max Master in this year’s Autodesk Master Awards. All nominees are great artists from around the world and it’s a big honor to be there with them, to be one of them. Good luck to everyone. I wrote short making of Sunrise of the 80’s. Tutorial is hosted on Autodesks Area and so registration is required. Here is the link. After the end of the year 2006, I had more free time to spend than usual so I started to work on my new personal project. I call it “Sunrise of the 80’s”. It took me about 3 weeks of work, mainly during the nights and creative moments of the short winter days and long winter nights. In the beginning it was planned as night street scene but during one week of playing with lighting and testing I reached sunrise once again like in my previous work “Street of memories“. I hope that people who know these kind of housing estates sceneries will agree with me that they have a particular charm. Thanks to all folks for supporting and helping me with good critique and to my wife for patience. I hope you like it. So old year has gone and new one is here… “I don’t wish to anyone anything good”. Once I really said that huh. But it is not this case Happy new year to all. After more then one year I decided to change the look of my website and to buy new domain marekdenko.net. I’m using redesigned and edited wordpress template which is originally created by Tracy Ou aka Viitoria L.(dfCOM). After few days full of editing style sheet, preparing pictures and filling up this new homepage with meaningful holy text I’m exhausted! So welcome visitors and I hope you will spent more time here than I usually spent on other artists websites.